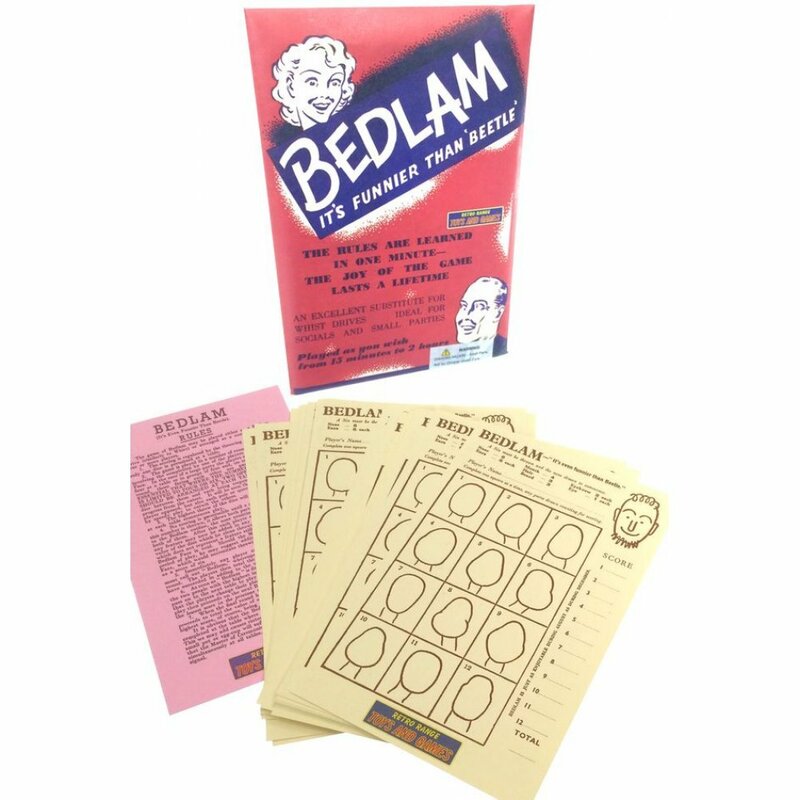 It's the fast and fun Bedlam Game! 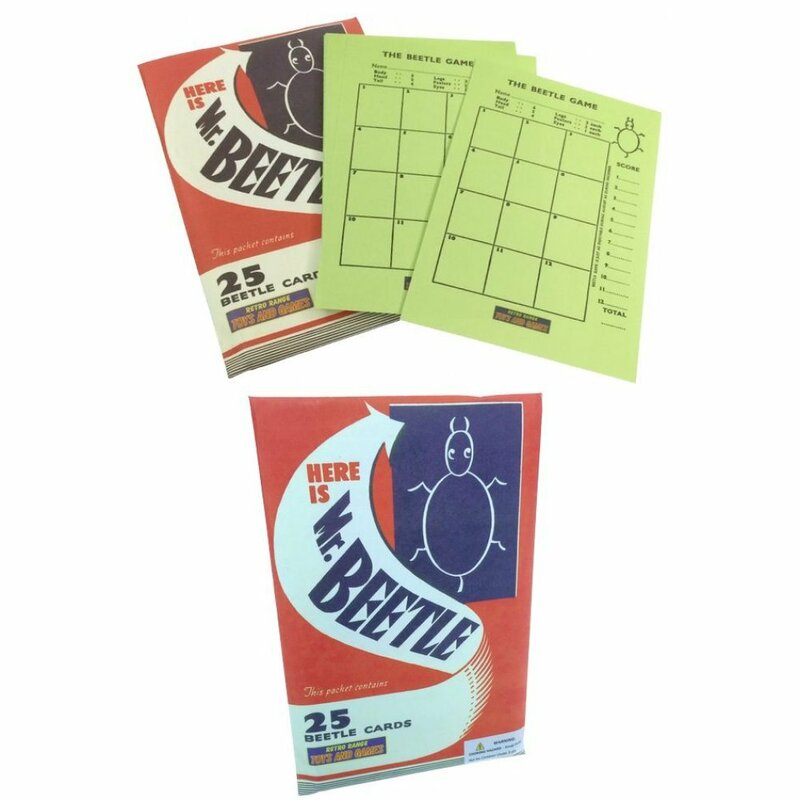 In this retro English party game, you make teams and roll the dice to draw the parts of a Funny Face. After 12 riotous rounds, you count your score of completely drawn Faces to win. 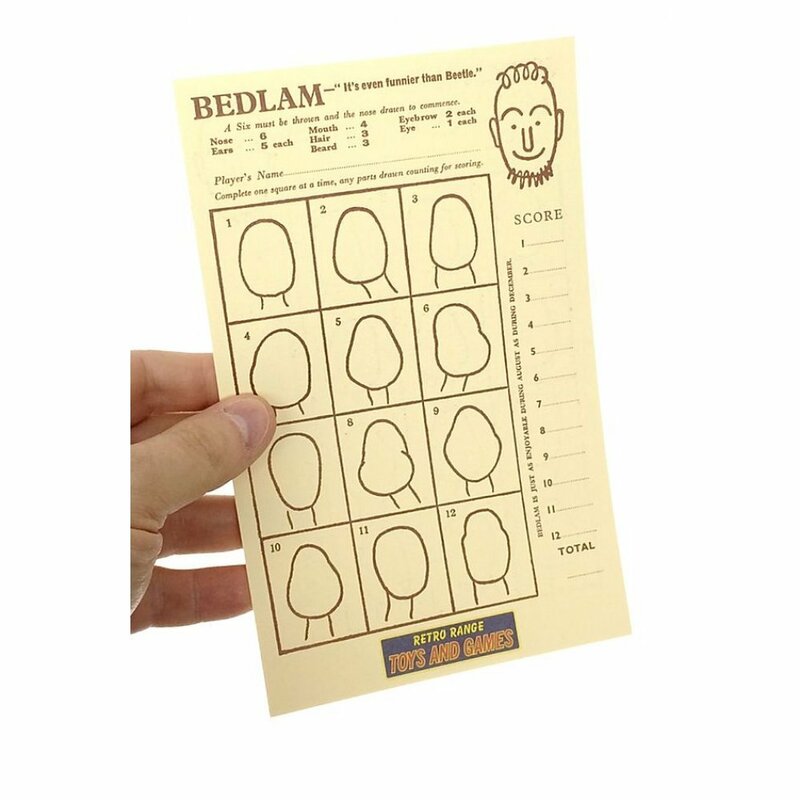 This set comes with 25 Bedlam cards (50 sides) - enough for a large party. It's fun to share your face doodles in this fast paced game! 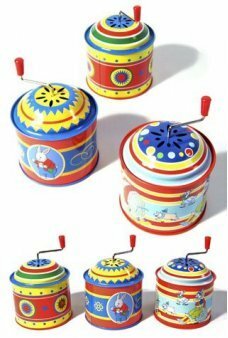 Classic games from 1950’s England are unique retro fun. 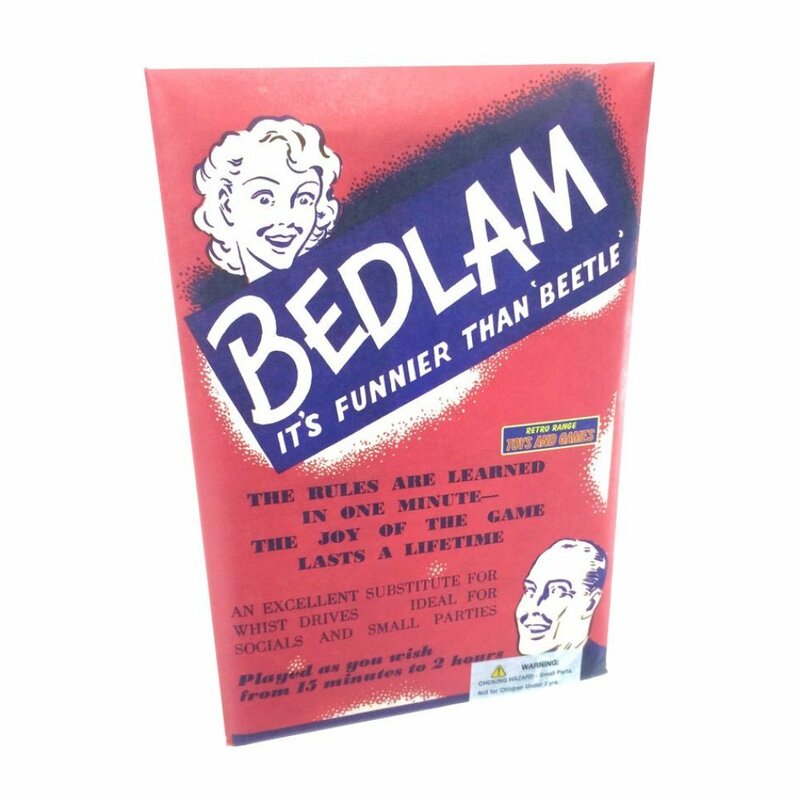 Package: 1950’s Color Envelope - "Bedlam - It's Funnier than Beetle!" Imagine that you are a US Marshall in the Wild West. Our beautifully detailed die-cast Re.. This cute Tin Toy Duckie walks on his orange feet when you wind him up. 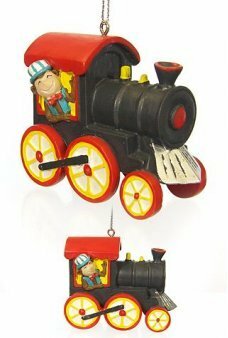 This classic tin t..
Our adorable Monkey drives the Circus Train! 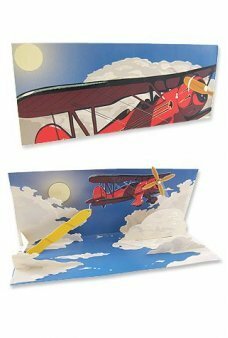 The happy monkey wears a red bow tie and an engineer’s ..
Our airplane card features a beautiful red biplane! The clever card includes a changeable banner (Ha.. It's Buzz Lightyear as an adorable Bebop tin toy windup robot. Just windup his small silver key to w..
Our amazing Aura white putty actually Glows Purple in the Dark. Wakeup before sunrise to see it glow..